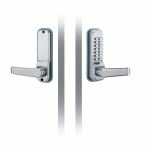 The Codelocks CL400 Stainless Steel Front & Back Plates Only is to be used with already existing mortice latches or locks with a 22mm fixing hole located beneath the spindle. 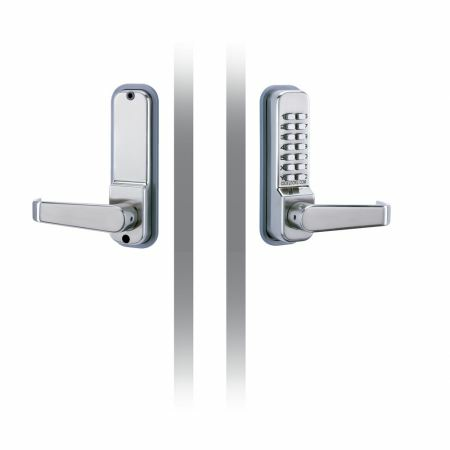 The CL400 locks are programmed with a random code beginning with the "C" clear button. To alter the code after installation, the lock initially must removed from the fitted door. The code is non sequential, which means the code can be inputted in any order e.g. 1234 can be 4321 or 1342 or whatever is the easiest sequence. With the 13 buttons a grand total of 8,191 various codes are available, all of which can be inputted in any order. 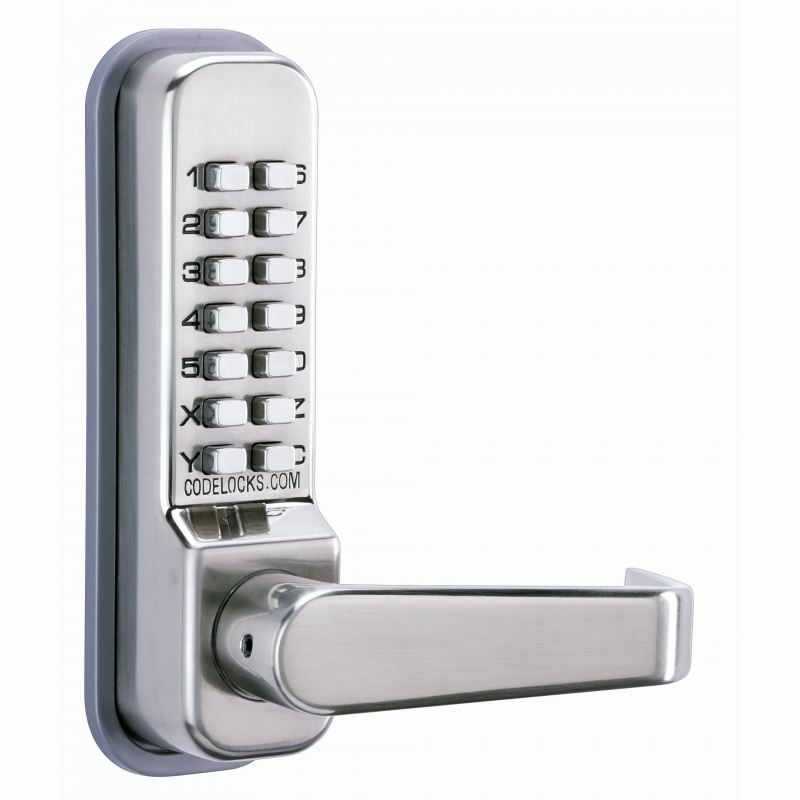 IMPORTANT: When using Codelocks CL400 PB Front & Back Plates Only, make sure you test with your chosen lock-case to make sure that the latch fully retracts from from the code side without much resistance. 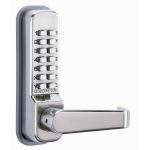 Some lock-cases contain a heavily sprung latch follower which is constructed to use with un-sprung level furniture. This heavy springing may defeat the clutch on the lock. Please take note - mechanical lock's code chambers require the lever to be rotated at least 45 degrees to reset the lock for the upcoming code user.